This volume brings together eight case studies which describe a variety of initiatives to create more effective schools for children of poverty, especially in the Third World. The initiatives reviewed published and unpublished documents and both qualitative and statistical studies were examined. Countries include Brazil, Burundi, Colombia, Ghana, Nepal, Sri Lanka, Thailand and the United States. 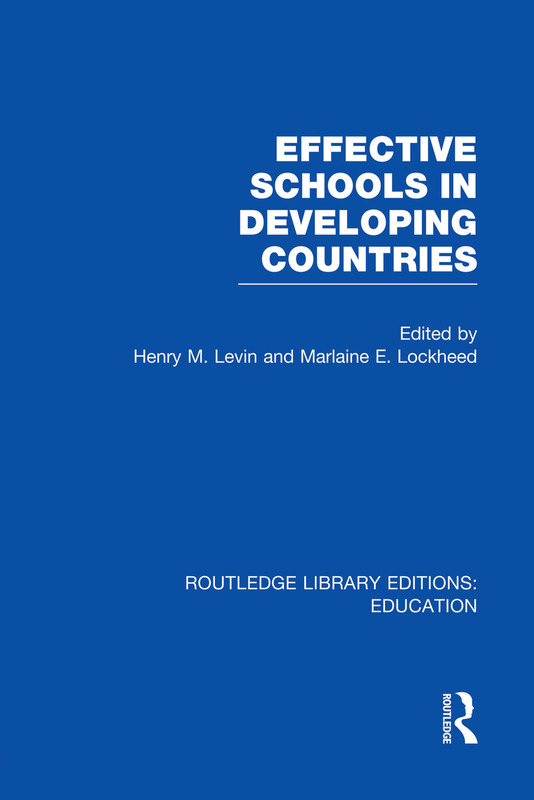 Each initiative was developed independently to address unique challenges and situations but taken as a group, the features of the approaches described in this volume can be viewed as a basis for considering the development of effective schools strategies in other contexts. 1 Creativing Effective Schools Marlaine E Lockheed and Henry M Levin. 2 The Condition of Primary Education in Developing Countries Marlaine E Lockheed 3 How Can Schooling Help Improve the Lives of the Poorest? Nicholas Bennett 4 The New School Program: More and Better Primary Education for Children in Rural Areas in Colombia Vicky Colbert, Clemencia Chiappe and Jairo Arboleda 5 CIEP: A Democratic School Model for Educating Economically Disadvantaged Students in Brazil? Ana Cristina Leonardos 6 Improving Educational Effectiveness in a Plantation School: The Case of the Gonakelle School in Sri Lanka Angela Little and R Sivasithambaram 7 Local Initiatives and Their Implications for a Multi-Level Approach to School Improvement in Thailand Mun C Tsang and Christopher Wheeler 8 Providing Quality Education When Resources are Scarce: Strategies for Increasing Primary School Effectiveness in Burundi Thomas Owen Eisemon, John Schwille, Robert Prouty, Francis Ukobizoba, Deogratias Kana, Gilbert Manirabona. 9 Accelerated Schools in the United States: Do They Have Relevance for Developing Countries? Henry M Levin. Index.